Farmington, NM – The Farmington Police Department is investigating an explosion that occurred early Tuesday morning. At approximately 3:05 a.m. dispatch received reports of an explosion in the 500 block of East 20 Street. Officers searched the area and located the remains of an explosive device in the parking lot south of 505 E. 20 St. Investigation by the FPD Bomb Unit revealed the explosive was made from a gas sample cylinder. The explosion caused damage to a nearby shed and dented the side of a dumpster. No injuries were reported. The incident remains under investigation. Anyone with information about this incident may call the FPD Detective Tip Hotline at 599-1068. Anonymous tips may be submitted to San Juan County Crime Stoppers at 334-TIPS. The Farmington Police Department would like to remind citizens to never touch suspicious packages or items. Instead, call 911 immediately. 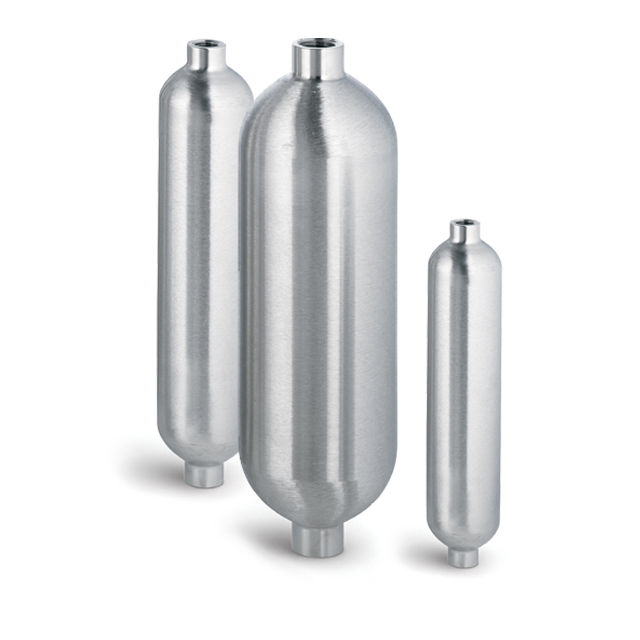 *The attached images are examples of the types of cylinders that could be used.